Gary McAllister has been appointed first team coach at Liverpool as part of manager Brendan Rodgers' new-look backroom team. The ex-Liverpool midfielder joins new assistant manager Sean O'Driscoll and Dutch coach Pep Lijnders. McAllister, 50, won the League Cup, FA Cup and Uefa Cup with the Reds in 2001. He said he was "really excited about coming back" to Anfield and owed the club for getting the opportunity at the last stage of his career. 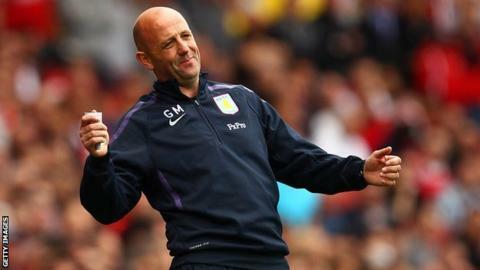 The former Scotland international has managed Coventry and Leeds and served as assistant to former Liverpool boss Gerard Houllier at Aston Villa. Frenchman Houllier signed McAllister, then aged 35, for Liverpool in 2000. Liverpool finished sixth in the Premier League last season, eight points away from fourth and a Champions League qualification spot. Rodgers' former assistants Colin Pascoe and Mike Marsh were sacked in June following an end-of-season review with the club's American owners. Meanwhile, Liverpool confirmed their 30-man squad for a pre-season tour of Thailand, Australia and Malaysia, with unsettled forward Raheem Sterling among the players selected. Mario Balotelli, Fabio Borini and Jose Enrique were not included. The squad in full is: Mignolet, Bogdan, Fulton, Clyne, Gomez, Lovren, Moreno, Toure, Wisdom, Cleary, Skrtel, Sakho, Maguire, Allen, Henderson, Lucas, Milner, Chirivella, Rossiter, Teixeira, Ibe, Kent, Ojo, Wilson, Lallana, Markovic, Sterling, Ings, Lambert, Origi.